Front line leadership sees the attention of those that work below them as well as those that work above them. They have a level of responsibility that keeps them on someone’s radar. Middle managers, however, tend to be the frozen middle. They have the power to influence and drive change, but get little of the credit or glory because they may not always be the ones executing. Or they become so bogged down in emails and data analysis that they become stalled in their ability to influence because they have become victims of paralysis by analysis. Or maybe they are the unsung heroes who sacrifice time with loved ones to make things happen but are then told that their efforts are “part of the job”, with no thank you. As a leader, your challenge is in creating a workplace of choice that thaws the frozen middle. How do you thaw them? 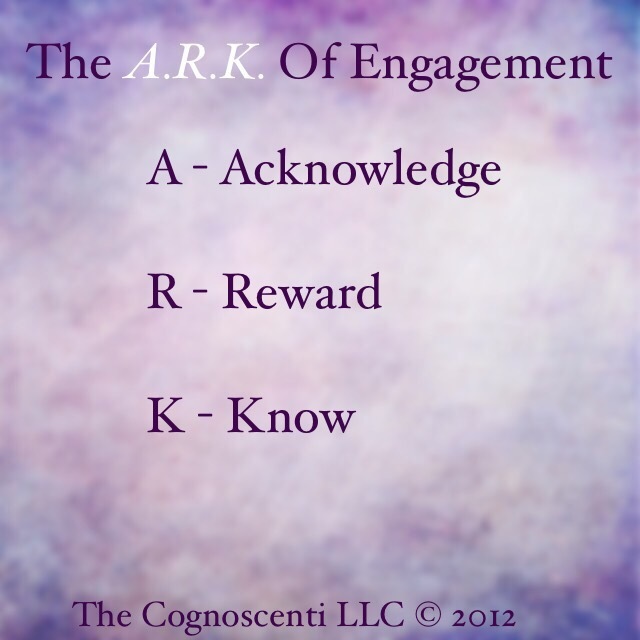 ARK – Acknowledge, Reward and Know. Acknowledge their role in the bigger picture – their help in defining strategy and influencing behaviors. Start by saying “thank you”. Thank them for their hard work, their sacrifice, their tenacity and commitment to the vision. A simple thank you speaks volumes to the person receiving it and furthers engagement. Reward them. The old saying money talks… If you truly want the best, you need to be willing to create a compensation package that attracts and retains the best. If you can, keep them just above competitive mid points as a starting place for them to grow. Look at other parts of the compensation package – health care, benefits, vacation time, etc. Create a package that rewards them for the sweat equity they invest. Use non-monetary awards such as certificates of recognition to further reward outstanding performance as well as one time acts. Know them on a deeper level. In order to feel like one matters, one needs to feel relevant. Relevance is measured by what you now about the person outside of work, not what you know of your employee. By taking the time to get to know them, you send a very clear message – you matter. ← Who is Assisting You With Your Destiny?